Our cat flap fitter is now covering a large part of the UK. We Fit For You are the number one choice for value, speed, competence and reliability. Our cat flap fitters prices are extremely competitive – we don’t charge by the hour, nor do we have any hidden charges. Can a cat flap be installed into my existing glass unit? Unfortunately the answer to this is “no”. You will need to have a brand new glass unit made. Is it possible for a cat flap to be installed into my raised uPVC panel? Yes it is! Unlike other companies, we do not try and sell you a new flat panel! 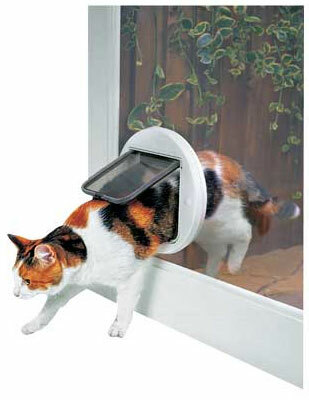 Our skilled Cat flap fitter can fit the cat flap into your door perfectly! Can you install a cat flap into a metal-skinned Composite door? Yes – our installer is highly experienced in this and does this type of installation on a regular basis.